Protest rides against the European Commission’s proposed EU Regulations for motorcycles took part in the UK in September and recently riders protested in Brussels on the Motorcycle News (MCN) UK weekly newspapers protest ride. Over the last few months, UK rider organisations have been using inflammatory rhetoric to gain support for these protests. This rhetoric has been based on theorizing and deriving conclusions to what the proposal may (or may not) mean for motorcycling. Facts have been confused with supposition and the consequence of this is that it has led to panic and anti-EU hysteria. All of this appears to be a lack of understanding of the proposal. At Right To Ride we have looked at the publically available proposal and the amendments that have been submitted by MEPs and we’ve been in regular contact with the office of the Chair of the IMCO committee. These amendments (more than 300) are due to be voted on at the rescheduled meeting on 5th December of the Internal Market and Consumer Protection (IMCO). Whatever the result of this vote is (what amendments are accepted or rejected), there will be a final report which is then placed on the agenda of the European Parliament for all MEPs to vote on, although additional amendments to this report can be tabled to Parliament under certain procedures. 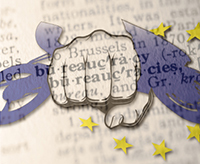 However a number of MEP amendments have already been withdrawn, because they were outside the scope of the regulation. We wonder in a European utopia of citizens’ democracy how these MEPs decided to submit their amendments, where these amendments came from or whether they were discussed with motorcyclists. We also wonder if motorcyclists or rider representatives contacted members of the IMCO committee, or, is there an unseen “battle” of other lobby forces taking place, while MEPs fail to grasp the complex technical issues surrounding motorcycles? Our own frustration on what has been reported over the last few months regarding the European Commission’s proposal and the MEPs submitted amendments to the IMCO committee, has led to exasperation with the MCN protest ride. Not because we are against protesting, quite the opposite, but because of the Pie in the Sky statements issued by MCN/MAG UK and the BMF to support this and other protest rides. We have tried to keep to the facts as we understand and report them. But right now we are pretty disgusted with what is being reported by these organisations and we feel that the time has come to challenge the hype and misinformation. On November 22nd, Right To Ride was in Brussels to talk face to face with the European Commission, the assistant of UK MEP Malcolm Harbour, chair of the IMCO committee and with Malcolm Harbour himself. 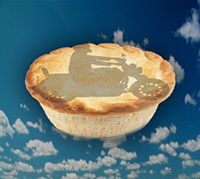 At Right To Ride we wonder where this Pie in the Sky comment has come from regarding three MoT tests a year, as there is absolutely no mention of this within the proposal, nor from any other Commission department. Indeed the DfT has put out a consultation paper suggesting the MoTs could possibly be changed to once every two years! MCN has made statements without any apparent justification such as “Tuning could become impossible and even home-maintenance severely hampered. On-board diagnostic systems on new bikes could detect non-standard parts and trigger a warning light until the ‘fault’ is rectified by a dealer. Routine faults could be reported in code decipherable only be a dealer, preventing home-servicing. To prevent any modifications to the ‘powertrain’ which rider groups fear could include anything from the throttle to rear tyre”. At Right To Ride we ask, “Do you really know what you are talking about, do you actually believe what you are writing?” Because these communications circulating around motorcycle forums, motorcycle social network sites and riders blogs certainly seem to have created enormous confusion, and appear to have become the accepted truth. We have written to the main protagonists concerned with the MCN protest ride, MCN’s Steve Farrell the BMF’s Chris Hodder and the MAG President Ian Mutch. We asked them, why they did not use their positions to contact the IMCO Chairman and the European Commission when they had the opportunity while in Brussels? Because if they had, they would have found that most of the information that they are disseminating is either incorrect or misleading, running with what appears to be visceral anti-European propaganda which in the end does nothing to change the issues regarding these proposals. We are now asking this trio and the organisations that they represent, to explain clearly and precisely how and why they came to the conclusions that they have made and with what evidence. The future of motorcycling is important to all of us and we need to know the facts, so that we can grasp the consequences of the proposed regulations. For example, contrary to popular belief, the Commission has stated that it wants modifications and customising left to Member States and where appropriate SVA -= Single Vehicle Approval. The reason is simple, the Commission feels that these aspects are far too complicated for them to regulate. With regards to anti-tampering, the Commission anticipates that L3 vehicles which would be those motorcycles used by riders with a full licence, would not be affected – and the anti-tampering measures which would most probably cover mopeds, L1 and L2 PTWs, would focus on harmful modifications. We need to take a deep breath and ask the representatives of UK biking to provide a genuine analysis of the situation. Below you can view video interviews conducted by Europe & You from Malcolm Harbour, Riders, Marta Andreasen, Motorcycle News own video broadcast and a video from the Motorcycle Action Group local group Folkstone and Dover. These may which may help you as riders to ask questions and split out what the proposal means for motorcycling from the hype and misinformation. A large contingent of bikers from the South East have been protesting in Brussels against EU motorcycle plans. The European Parliament is currently discussing plans to improve the safety of bikes, but some riders are concerned that the EU could stop them being allowed to tinker and upgrade motorbikes in future. Lloyd Collins and Alex Lester from Sussex travelled on their bike and sidecar with a top speed of 45 miles per hour to take part in the protest. Alex Lester says doing up bikes is what he enjoys. EU plans to tighten up motorbike safety laws amount to a cultural “invasion”, according to one of our MEPs. Marta Andreasen helped co-ordinate a rally in Brussels of some two hundred bikers, many of them came over from our region. The group came to protest about a proposed EU law, still at its early stages, which, they say, would stop them being allowed to modify their bikes. UK Independence Party Euro MP, Marta Andreasen, wants the plans thrown out. She says the law would put the future of biking under threat. Under the proposals so-called on-board diagnostic systems on new bikes could detect non-standard parts and trigger a warning light until the ‘fault’ is rectified by a dealer. Routine faults could be reported in code decipherable only be a dealer, preventing home-servicing. One aim of the EU plans is to prevent any modifications to the ‘powertrain’ which rider groups fear could include anything from the throttle to rear tyre. New bikes are also to get ABS under the proposals, due to be introduced gradually from 2014. MCN is calling for the anti-tampering measures to be thrown out of the plans. Phil Pickering – Folkstone and Dover – Motorcycle Action Group. MAG mobilise thousand of bikers to protest EU laws – laws that will do unreasonable harm to bikers written by people we did not elect. Well, let’s see what happens before we start throwing ourselves over a cliff in despair. What is important, is that everybody stays focussed on the real issues and not get sidelined by “Chicken Little” and his mates. Remember that this regulation is about new motorcycles, it is not retrospective. From my conversation with the Commission, they want to focus on harmful or illegal modifications – on mopeds, L1 and L2 category, not on L3 (35Kw or more) which is what the average full licence motorcyclist rides. FYI – the amendment which was to have the police do road checks and enforcment – was withdrawn – although consider that the police already have powers to check for illegal modifications. As I previously commented, they generally have better things to do. We’ll know more next week after the vote in the IMCO Committee. I wish that was the case, yes some officers will see it as something to check, when the need arises, other’s will see it as easy way to achieve ‘numbers of actions’ so they get their promotion IME. The obvious solution is to separate out third party insurance – that’s the compulsory part – from other motor insurance products. This TP insurance should only apply to vehicles (not the driver) as in most other countries in Europe. This compulsory part must be regulated. It would also help if people sitting on the board of insurance companies were not allowed to become Lords or MPs and give opinions as is the case now. In Northern Ireland, the government here has started to realise that there is a major problem with insurers and infact has brought the matter up at Westminster. Interestingly, the latest legislation requiring bikes and cars to be insured all the time (or SORNed) does not apply in Northern Ireland – possibly because our legislators cottoned on to the purpose of it – which is to make more money for insurers. What I fear is the inevitable ‘mission creep’ factor, our insurers already use the tiniest variation from standard to hammer us cost wise, or to avoid paying out, so when Police officers ‘discover’ they have a ‘new’ E.U. right to have motorcycles checked for ‘compliance’ will they use it to our ‘benefit’ or to hassle us further, and not just the smaller classes intended, knowing just how ‘creative’ they can be.